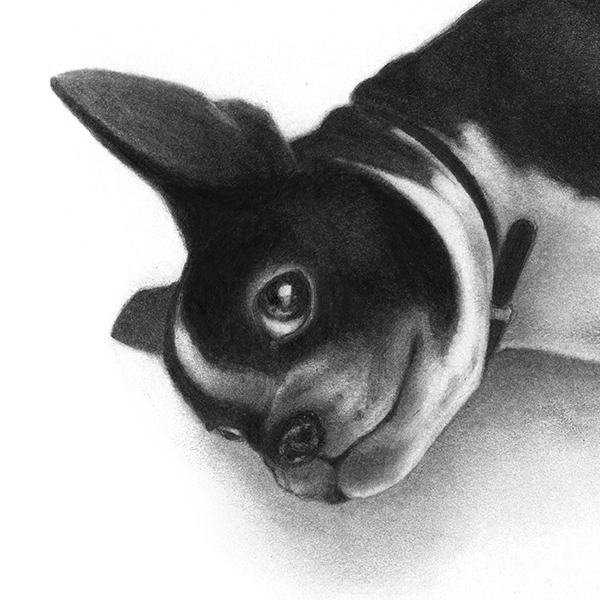 Pet portraits for family, friends, and commissions. Hunter. Commission from a guy to his girlfriend in remembrance of her dog. 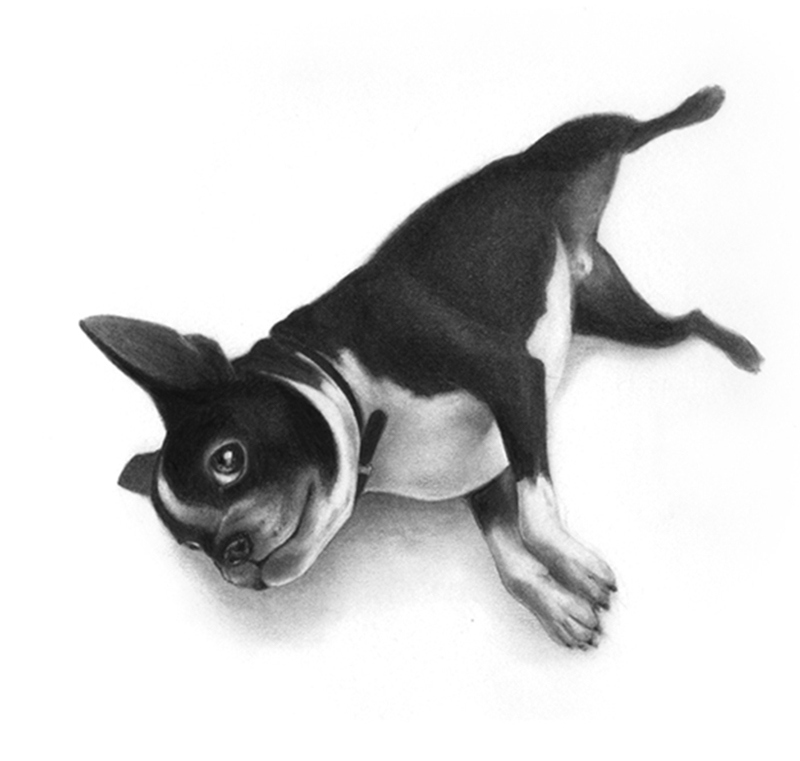 Graphite and carbon pencil on bristol. Annie. 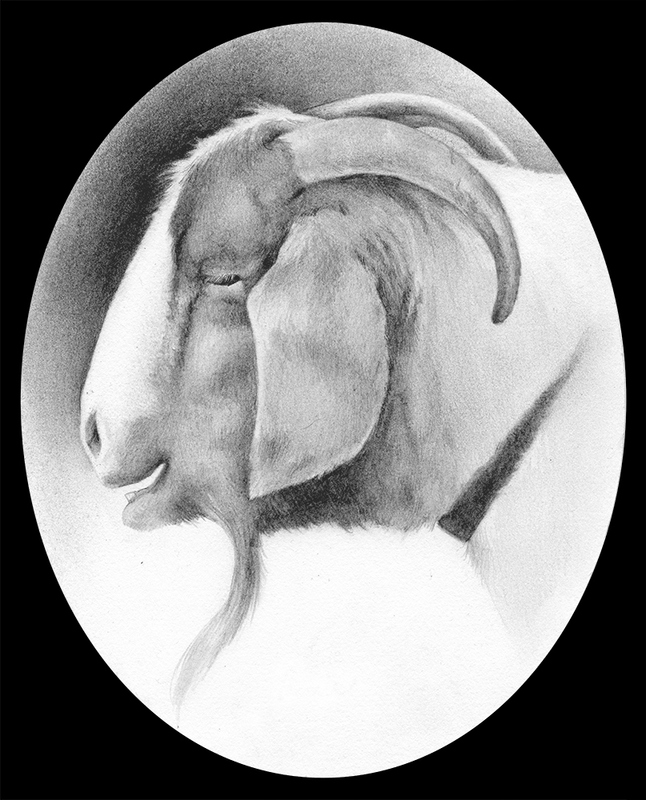 A Christmas gift for my father-in-law - this is his female goat. Black frame added in Photoshop. I presented these to him in matching oval frames. Lee. 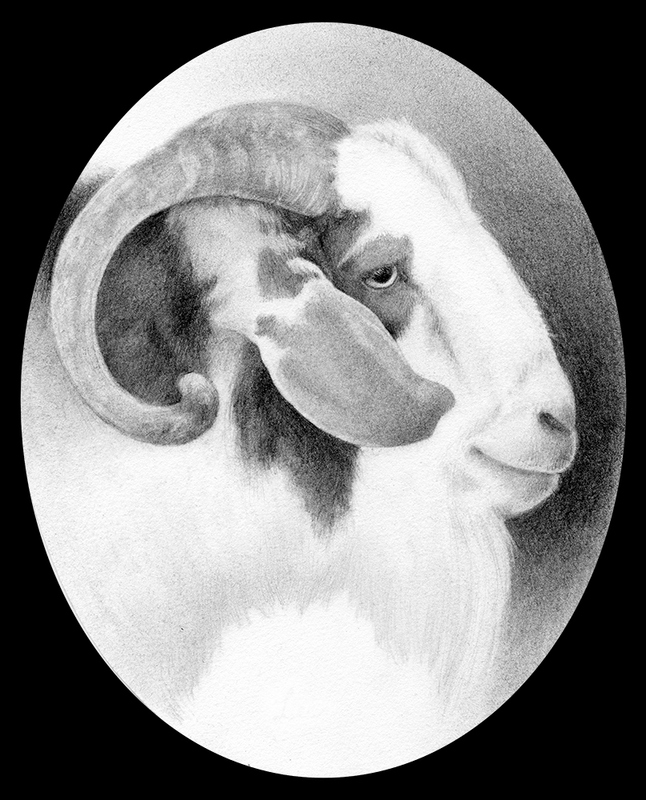 A Father's Day gift for my father-in-law - this is his male goat.